There’s a new wave of green tech on the rise and it’s one you can comfortably ride on; electric-powered scooters. A new innovation which offers ease of travel in a nature friendly way along with an arguably affordable price range. So if you are an environmentally conscious individual who is looking for an easier way to get to work or simply someone who just wants to look really cool, this might be the thing for you. Everybody wants a Tesla but electric-powered scooters, on the other hand, are relatively affordable. A quick research on Amazon and a recently updated electric scooter review article gives prices that range from $369 as the cheapest and up to $5,000 on the high end ones. These prices vary based on materials used as well as design and more importantly, the device’s performance itself. There are also plenty of different features offered such as foldability, fast charging time and even zero emission. All these options allows one to find the perfect scooter that fits their personality and needs. In this way, owning an electric-powered scooter gives the same benefits as owning a Tesla, up to a certain degree. Sure, it won’t get from 0 to 60 in two seconds but there are way less rules and restrictions. It can get through traffic and doesn’t have to deal with insurance policy. Electric-Powered Scooters are driven by, electricity. This means these scooter do not rely on traditional means of fuel and are therefore emitting considerably less carbon foot print than other fuel-based modes of travel. 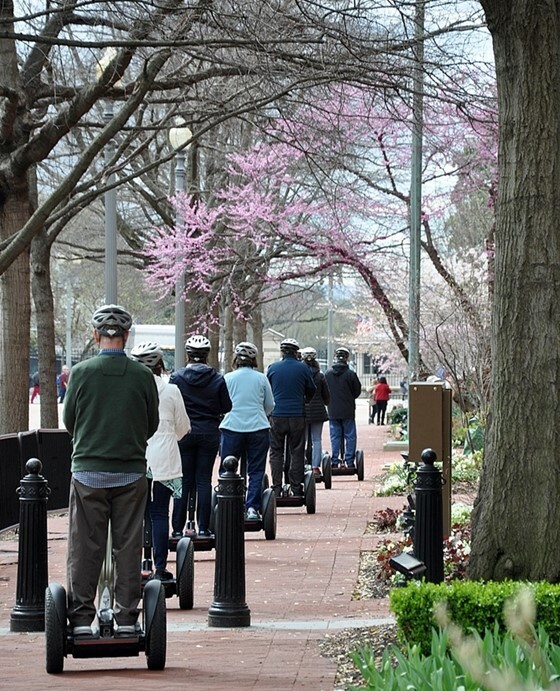 These scooters are equipped with electrical motors capable of driving for 2-5 hours on average with minimum speed at 10 mph and could reach a maximum of 30-40 mph depending on the wattage. They can travel considerable distances which makes them perfect for going to work or for riding leisurely. Now you can help the earth as you start your day or enjoy nature without harming it. The scooter design itself opens up more options for the owner when it comes to storage. It's simple basic design also allows it to have a lot more access to places which may not be available to other types of vehicles. Most brands also tend to focus on more lightweight but durable materials on their framework making it quite convenient and easy to handle. Some still push for innovation and offer scooters with foldability features maximizing convenience. This is what really gives scooters the advantage. Owning one means you don’t have to worry about parking spots and fees anymore, just fold your scooter, carry it around near a charging port and tuck it away properly. You can leave it there with no worries as you go on with your day. Electric-Powered Scooters are an affordable alternative means of travel. Its various features and different variations makes sure that there is one fit for everyone. Powered by electricity, it is guaranteed to produce minimal to zero carbon emissions making it very nature friendly. Its portability is also a great advantage. It is a great choice when it comes to having a convenient, nature friendly and affordable mode of transportation.